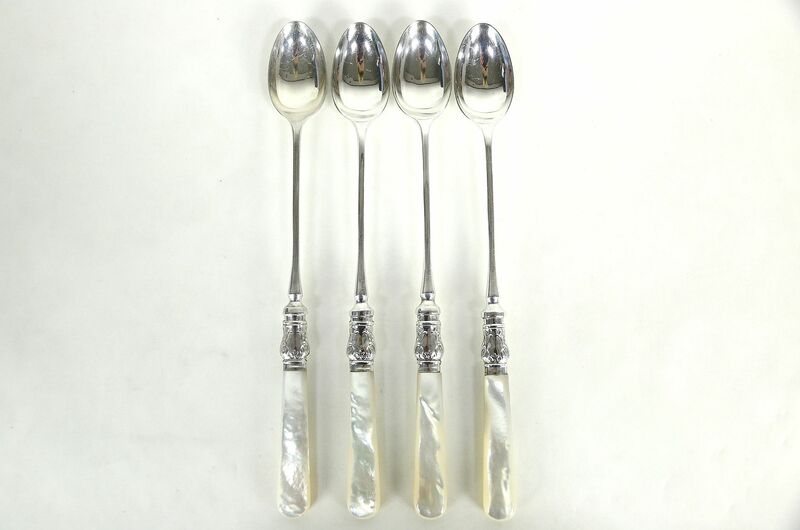 A set of 4 pearl handled iced tea spoons are silverplate with genuine mother of pearl handles that are individually shaped. This vintage silverware is signed with maker's hallmarks and "England." Size is 8 1/2" long.